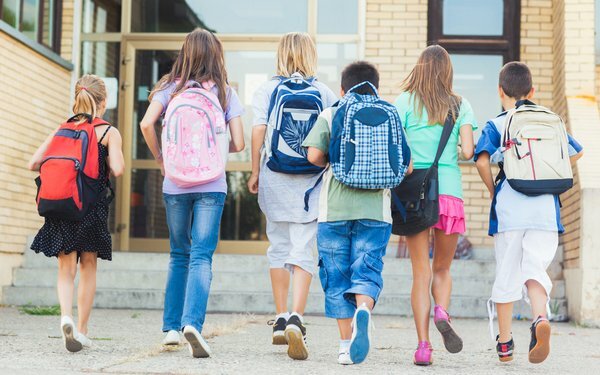 U.S. advertisers spent nearly twice as much on data for back-to-school campaigns last year as those in the United Kingdom, with marketers investing about 1.8 times more year-over-year (YoY) compared with their European counterparts. The Electronics & Computers category drove the majority of the increase, according to data from Eyeota, which supplies audience data to advertisers. The study looks at how advertisers in specific market segments -- Electronics & Computers, CPG, Services & Industries, Internet & Telco, and Retail -- bought data in 2017 to target consumers for back to school campaigns. Demand for back-to-school segments began in July 2017, peaked in September and dwindled in October for campaigns that began in July and ran until September. The analysis is based on analyzing audience data from 24 brands targeting consumers searching for back-to-school items across 66 campaigns. The data then analyzed the numbers by audience to determine targeting strategies. Eyeota data shows that different advertiser categories implement different segment combinations to reach consumers back-to-school items. Marketers tailor their audience strategy by vertical and use the specific combinations of sociodemographic, intent, interest and seasonal data segments to reach back-to-school shoppers. Advertisers of Electronics & Computers (E&C) focused mostly on interest at 31%, intent at 29%, sociodemographic at 24%, seasonal at 8%, and product ownership at 8%. The key segments they targeted were consumers who enjoyed gourmet cooking, environmentally friendly, avid runners, volunteers, and tennis player. They also tend to like liberal comedy and hip hop music for entertainment. E&C advertisers also focused on buying data about frequent travelers, luxury home goods shoppers, and those seeking fashion. These married consumers use coupons and credit cards, and range in age between 35 and 39. Advertisers in the consumer products goods industry leaned sharply toward buying data based on interest at 74%, sociodemographic at 21%, and seasonal at 5%. They looked for females, mostly housewives between the ages of 45 and 54, who love to cook. Interestingly, advertisers in the Services & Industries bought data around sociodemographic at 94% and seasonal at 6%. The consumers led a student lifestyle. Internet & Telco advertisers also bought data around sociodemographic at 90% and followed it up with Interest at 8%, Intent at 2% and seasonal at 1%. They also bought data around consumers with low income levels and showed an interest in TV comedy, and automobiles and motorcycles racing. Retail advertisers, as expected, bought data around intent at 56%, interest at 38%, seasonal at 5%, and sociodemographic at 1%. The data focused on home décor, discount store, and department store shoppers who have an interest in golf and baseball. Overall, the most purchased data focused on Interest related to Family and Relationships, School Interest, Blog and Social Media. Intent data focused on shoppers interested in Consumer Electronics, Books, Home and Garden, and Discount Warehouse. These consumers were mostly married, ages 245 to 44, live in a single-family home, own a home and have pets. 1 comment about "U.S. Leads In Data Buys For Back-To-School Campaigns". pj bednarski from MediaPost.com, July 6, 2018 at 3:38 p.m. Thank God you were talking about LAST year back to school. I was in a store (brick, door, people, shelves) yesterday and saw their back to school display and it is July 6.